Grew up… in a Ukrainian convent after being born to an English surrogate. When Helena was 12, two Prolethean religious extremists found and raised her. Tomas and Maggie Chen trained her for years to become an unstoppable killer. After making her believe that she was the “original,” they sent her off to find and kill all the other clones. Visiting… Canada. After leaving the convent, Helena has not seemed to stay in one place for long. She just recently arrived in Toronto after following Katja Obinger, the German clone that evaded her. Profession… trained killer. Tom and Maggie intentionally raised Helena to become a highly disturbed religious fanatic. Helena’s sole mission in life is to find and destroy all the clones. She is a trained sniper, skilled fighter, and truly a merciless killing force. Interests… eating, experiencing human emotions through others, and killing. Helena seems to have never had a normal childhood. Leaving the convent has given her some freedom to explore the world. She enjoys eating food, and is often seen trying new flavors. Deep human connections also intrigue her; in particular, the unrestrained love and innocence children seem to have. Relationship Status… single. Helena has not had the opportunity to explore her sexuality. While finding a significant other is a not priority, Helena develops strange relationships with her clones. Challenge… following through with the Prolethean’s plan to kill all the clones. While in Europe, Helena managed to track down and kill three clones: Janika Zingler, Aryanna Giordano, and Danielle Fournier. After following Katja Obinger to Canada, she discovers that there are many more clones in North America and that there are other forces trying to control the clones, particularly the Dyad Institute. Personality… mentally unstable, childish, and loyal. Tomas and Maggie’s poor treatment of Helena led her to become mentally disturbed. After committing a sin, Helena will self-mutilate by cutting herself, and the cuts along her back eerily give the appearance of feathered angel wings. Before coming to Canada, she viewed other clones as merely shadow copies. 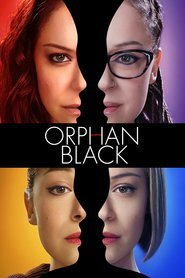 Or, as she puts it, “Poor copies of God's image of human beings!” Sarah Manning, however, appears different than the others, and Helena becomes intrigued by her. Helena's popularity ranking on CharacTour is #1038 out of 5,000+ characters. See our top-ranked characters and read their profiles.